Organise your fridge or notice board with these handy magnets. Made from wooden clothes pegs, they have strong magnets attached to the back, and hand stamped words on the front. 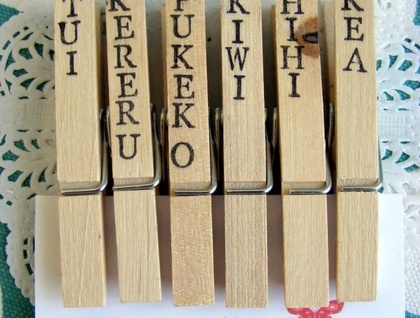 If you would like different words on your pegs please convo me as I am always keen for custom orders.